I’ve noticed a tendency towards simplification when it comes to some of nowadays’ book covers. A basic concept springs forth, with some degree of success I guess, and immediately after that it seems that one idea, with slight changes, is put on the repeat. I am afraid there is no magic for me in most of these cases. 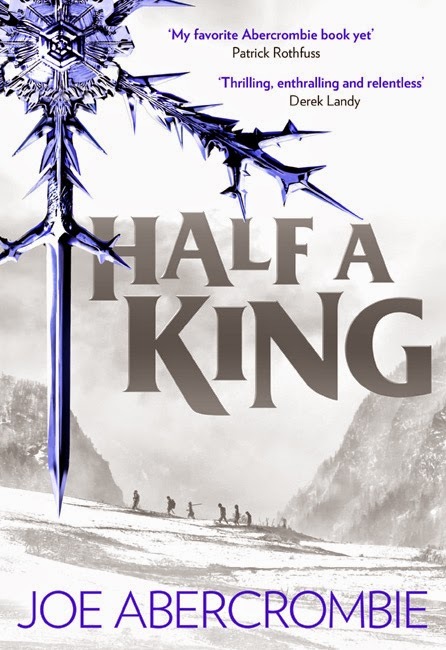 Joe Abercrombie’s recently released novel is one such example, I found no appeal for the covers of “Half a King” US and UK editions. Perhaps the UK edition has something extra, but not much, in my opinion, neither of them has a story to tell, neither of them flirts with me, lacking the allure that usually sends me trotting to check the statement of my bank account in order to see if one more book acquisition, for the sole sake of the cover artwork, might be viable. 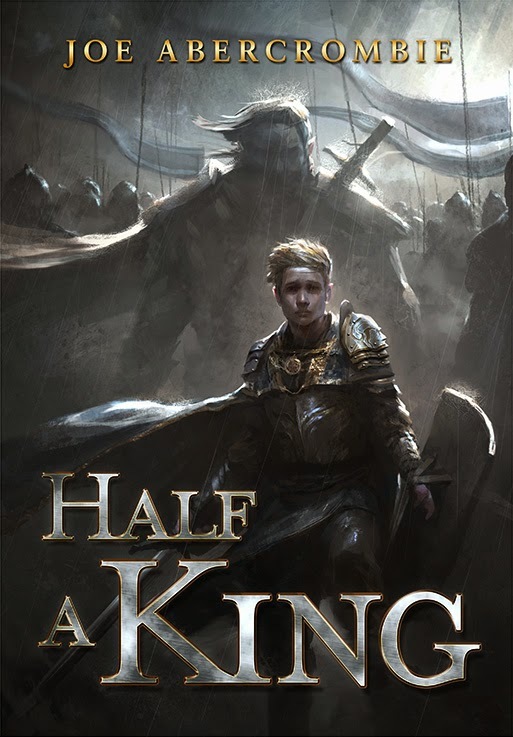 The situation is redeemed a little by Subterranean Press, their limited edition of Joe Abercrombie’s “Half a King” is adorned with a wonderful cover and interior illustrations by Jon McCoy. But as it is the matter with majority of Subterranean Press’ excellent produced books, going for a copy of that edition would demand a heavy toll from the said bank account. However, since we are talking about book covers, not book acquisitions, I have nothing by admiration for Subterranean Press’ choice of artwork in this case. 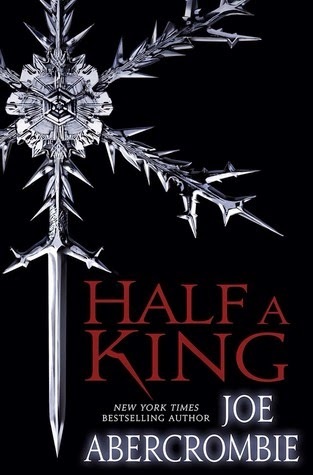 Even more so when I look upon the choice made by Bragelonne for the cover of Joe Abercrombie’s “Half a King” French edition. 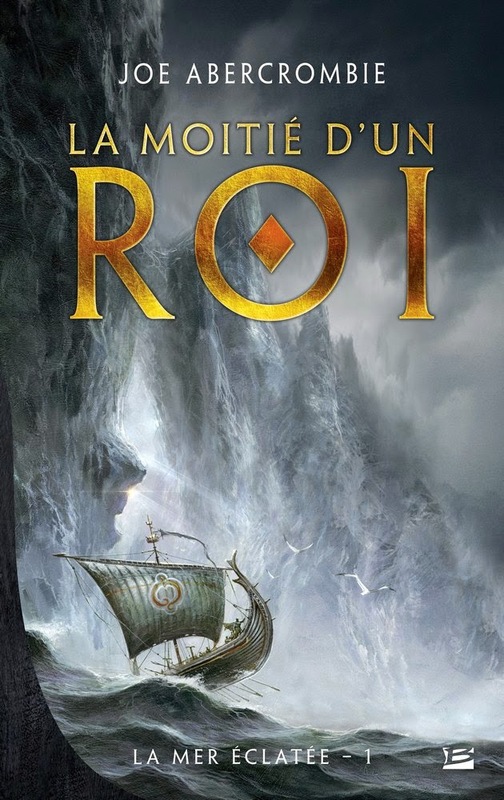 Yes, it is a French edition again, and yes, it is the same excellent art department of Bragelonne that make me wish I had a bigger financial power and endless space for my personal library just to be able to put this book, with this cover, on the bookshelves. Responsible for this beauty is yet again Didier Graffet and the David Gemmel Award winning team behind three other Joe Abercrombie’s book covers, the UK editions of “Best Served Cold”, “The Heroes” and “Red Country”. I do believe that Didier Graffet captured perfectly some of the essence of the story and has created a painting that not only is a great companion for the novel, but it also stands proudly tall on its own. One that I wish to see more on books instead of those that could be gathered in a tight group of similar covers. Hello there. I am a French reader and occasionally a traveler. Book shops are part of the journey but I'm always (or nearly always) disappointed by English (UK or US) editions. Between the cover, the paper quality or the binding there is always something wrong. Like it has been sloppy :/ I hope for you that editions will improve. India, Bragelonne has some of the best covers I've seen.